november 2015 | xvi + 336 blz. How does EU membership affect national sovereignty? This question has acquired a central place in the public debate on the European Union. National sovereignty relates to the independence of nation states in international affairs and to their autonomy to organize domestic matters. The European Union has challenged both, or so it has been perceived. In any case, such a view on sovereignty narrows the focus down to the question of national policy discretion. 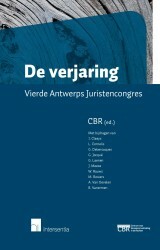 This edited volume offers a broader perspective on sovereignty relying on the international law concept. In addition to authority, this concept also includes citizenship and territory and assumes unity between these three elements. The focus is on the role of core values such as (representative) democracy, rule of law, justice, equality and economic stability in the process of shaping sovereignty in the shared legal order of the European Union. 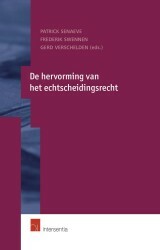 Moreover, not only the EU’s power to regulate, but also issues of enforcement are addressed. 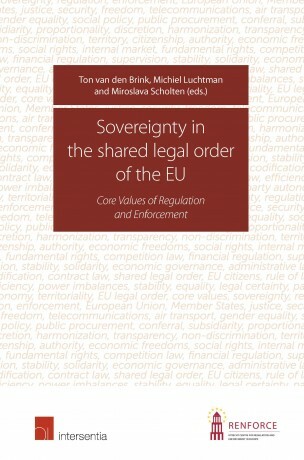 Seven case-studies exploring 11 policy domains ranging from financial markets to social policy, and from administrative law to private law address two sub questions: how do core values define the relation between EU and national authority, citizenship and territory and how are conflicts between core values addressed within this shared legal order. 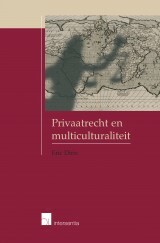 Three cross-cutting studies on authority, citizenship, and territory identify common approaches and existing challenges. 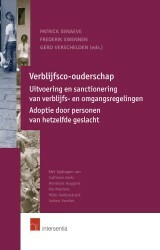 All 23 contributors of this volume work at the Utrecht Centre for Shared Regulation and Enforcement in Europe (RENFORCE).